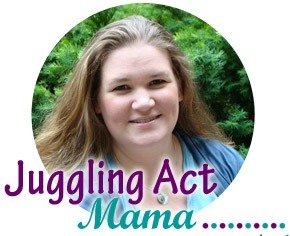 Hello, I'm Ang and I blog over at Juggling Act Mama. 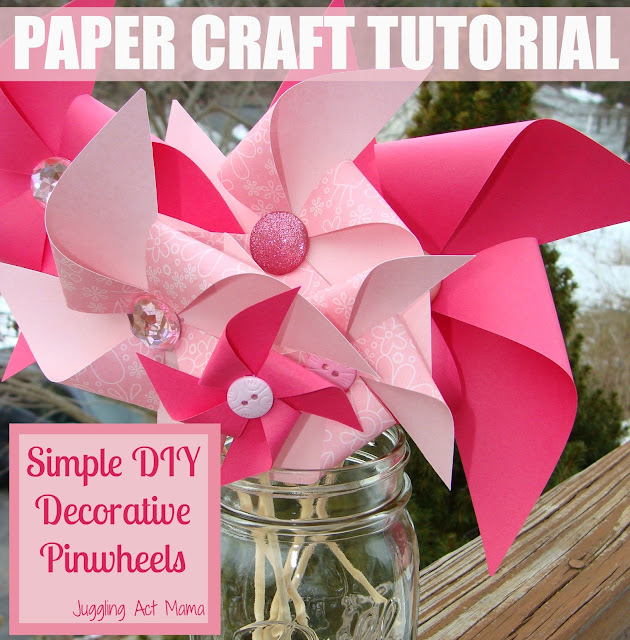 On my blog, I share easy and kid-friendly recipes, crafts and DIY projects, and fun activities for the kiddos. I'm a book fanatic, social media addict and chocolate lover with two kids, a full time job, and a husband I started dating when I was sixteen! And while you're there, don't forget to enter my latest giveaways. I'm thrilled to be sharing a much-loved recipe with all of Carrie's readers. 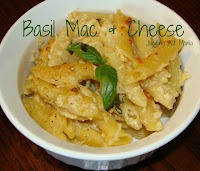 Frugal Foodie Mama is one of my favorite blogs, and often inspires me with her great recipes, so it is truly an honor. Another of my favorite bloggers is The Pioneer Woman - I mean, what's not to love, right? Mr. Juggling Act got me her cookbook for my birthday and I've spent many a happy minute drooling over browsing through it. 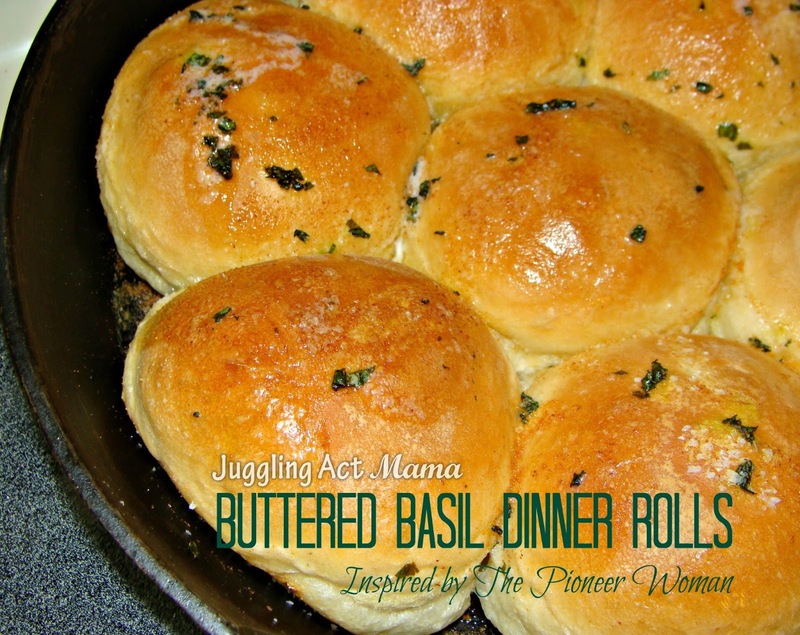 Her Buttered Rosemary Rolls caught my eye and I knew I had to make them. They have quickly become a family favorite. I love the smell of fresh bread rising and baking in my house - I do not, however, enjoy the process of kneading and fussing with bread. That's why this recipe is genius - it starts with store-bought frozen dough. No joke. I even use the store brand. Seriously. I decided that I would use Ree's basic method with the cast iron pan and butter, but that I would swap the rosemary for basil (yum!) and add some garlic. As I was rummaging through my pantry, I came across the Basil Salt I'd made earlier in the Fall and decided to use a bit to really add some flavor. 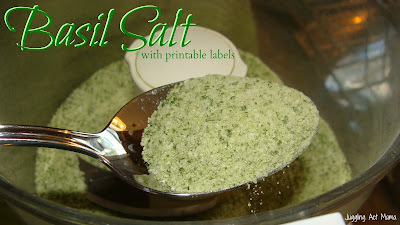 I'm going to give you the recipe using just straight up basil and kosher salt, but if you make some of the basil salt, you won't be sorry. Anyhow, back to the rolls - they are so soft and chewy on the inside, and so flavorful on the buttery outside with the basil, garlic and salt. You can't go wrong with this recipe! In a small cast iron pan, melt about 2 tablespoons of butter. Remove the pan from the heat and let it cool for about ten minutes. 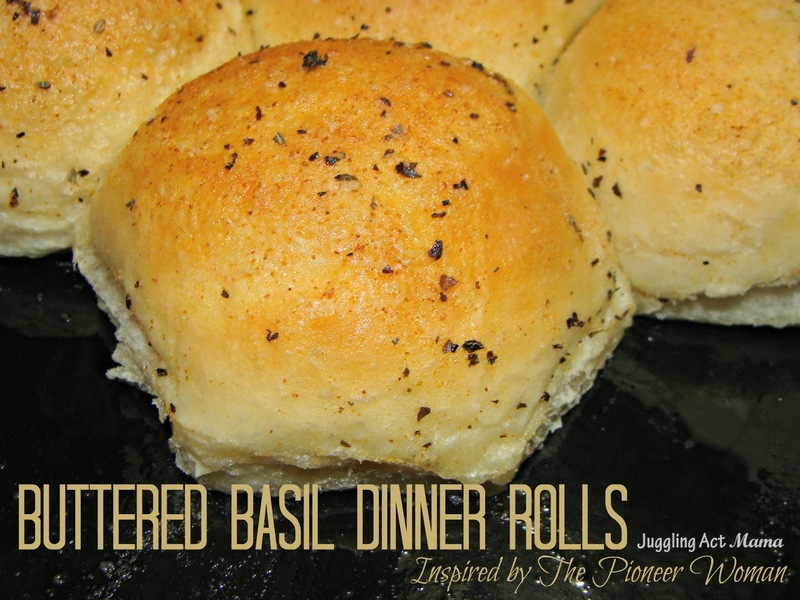 Place the unbaked rolls in the pan and brush with more melted butter. Cover and let them rise until they're about doubled in size. Gently brush on a bit more butter. What? I didn't say they were healthy dinner rolls. Sprinkle the rolls generously with the salt, garlic and basil and bake according to the directions on the package until they are golden brown. I hope you'll give these rolls a whirl, and come visit me too! 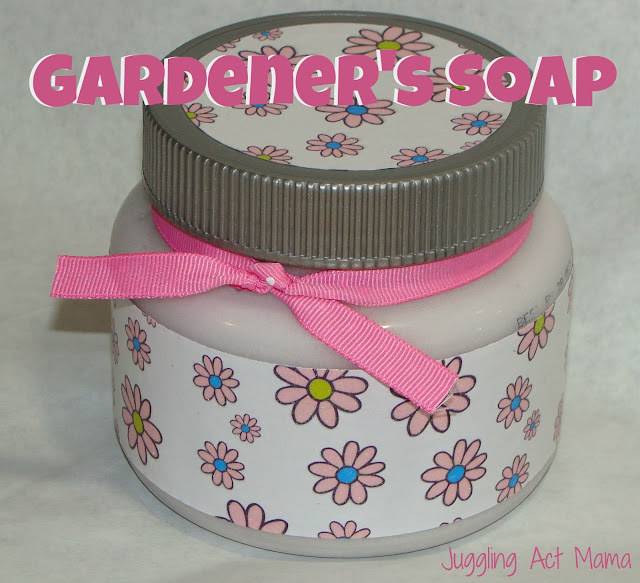 Ang wants to give one of my lucky readers (who also happens to be a blogger or small shop owner) the opportunity to win her Mama's Spot, a 300 x 100 ad spot on her blog! :) Just enter using the Rafflecopter below! *This giveaway is open internationally. All entries for the winner will be checked and verified, so please make sure you are doing what you are claiming in the Rafflecopter or all your entries will be voided. No funny business, folks. ;). By entering you give the right to use your name and likeness. Number of entries received determines the odds of winning. One winner will be selected. Entries must come from your MAIN social media accounts, not accounts that have been set up separately just for entering giveaways. Entries from these types of accounts will be disqualified. Protected tweets do not count as an entry method for tweeting. Tweets must come from a public account. Frugal Foodie Mama is not responsible for the delivery of this prize. No purchase necessary. Void where prohibited by law.